SAN FRANCISCO—June 8, 2009—Apple® today introduced the new iPhone™ 3G S, the fastest, most powerful iPhone yet, packed with incredible new features including improved speed and performance—up to twice as fast as iPhone 3G—with longer battery life, a high-quality 3 megapixel autofocus camera, easy to use video recording and hands free voice control. iPhone 3G S includes the new iPhone OS 3.0, the world’s most advanced mobile operating system with over 100 new features such as Cut, Copy and Paste, MMS*, Spotlight Search, landscape keyboard and more. iPhone 3G S customers get access to more than 50,000 applications from Apple’s revolutionary App Store, the largest application store in the world where customers have already downloaded over one billion apps. iPhone 3G S offers twice the capacity for the same price with a 16GB model for just $199 and a new 32GB model for just $299. ** And beginning today, iPhone 3G is available at the breakthrough price of just $99 for the 8GB model—a huge milestone for the high end smartphone market. iPhone 3G S features a new 3 megapixel autofocus camera that takes amazing pictures and video, making it easier than ever to capture, edit and share those moments instantly with family and friends. The new autofocus camera adjusts focus, exposure, color and contrast for the best possible image and includes an automatic macro focus for extra close up shots. With the new “tap to focus” feature, you simply touch the display to select an object or area of interest and the camera automatically re-adjusts focus and exposure. You can record incredible high-quality video clips and edit them right on your iPhone 3G S by simply trimming the start and stop points. With iPhone 3G S you can send photos and video by email or MMS and post them to MobileMe™ or YouTube with just one tap. iPhone 3G S features a new built-in digital compass for instant navigation. **** The Compass app shows you which way you are headed and rotates as you change direction. You can orient yourself to true north or magnetic north, and iPhone’s built-in GPS automatically displays the coordinates of your current location. The new built-in digital compass is also integrated within Maps, so it automatically orients any map to the direction you are facing. iPhone 3G S provides new accessibility features including VoiceOver, a screen reader that speaks what appears on the iPhone 3G S display, enabling visually impaired users to make calls, read email, browse web pages, play music and run applications. The new universal Zoom function magnifies the entire screen, and the White on Black feature reverses the colors on screen to provide higher contrast for people with low vision. iPhone 3G S also supports Mono Audio which combines left and right audio channels so that they can be heard in both earbuds for those with hearing loss in one ear. iPhone 3G S includes the new iPhone OS 3.0 software with more than 100 new features including: Cut, Copy and Paste; MMS; Spotlight Search to search across iPhone or within Mail, Contacts, Calendar and iPod; landscape keyboard for Mail, Messages, Notes and Safari®; expanded parental controls for TV shows, movies and apps from the App Store; and the ability to capture and send audio recordings on the go with the new Voice Memo app. iPhone 3.0 software also includes a new Find My iPhone feature that works together with MobileMe so you can locate your lost iPhone on a map, send a message that will appear on the screen or play a sound to help you find it even if your phone is set to silent. If you cannot find your iPhone, you can erase all data and content on your iPhone with the new Remote Wipe feature. New iTunes® features available with iPhone 3.0 software include wirelessly downloading movies, TV and audio programs as well as iTunes U so students can download learning materials on the go. iPhone 3G S gives users access to the revolutionary App Store, the largest application store in the world with more than 50,000 applications. The App Store allows developers to reach tens of millions of iPhone and iPod touch® users around the world. To date, customers have downloaded more than one billion apps from the App Store. And with more than 1,000 new APIs available with the iPhone SDK, developers can create even more innovative applications using In-App Purchases, a new Maps API and Push Notifications. iPhone 3G S also features built-in Nike + iPod support making it an incredible workout companion. Users simply place the optional Nike + iPod sensor ($19) in their Nike + shoe to seamlessly connect with iPhone 3G S to track miles run or sync with the latest generation gym equipment. iPhone 3G S will be available in the US on June 19 for a suggested retail price of $199 (US) for the 16GB model and just $299 (US) for the new 32GB model in both Apple and AT&T’s retail and online stores, Best Buy and Wal-Mart stores. iPhone 3G S requires a new two year contract with AT&T for qualifying customers. iPhone OS 3.0 software will be available on June 17 as a free software update via iTunes 8.2 or later for all iPhone customers. iPod touch customers will be able to purchase a software update for $9.95 (US). 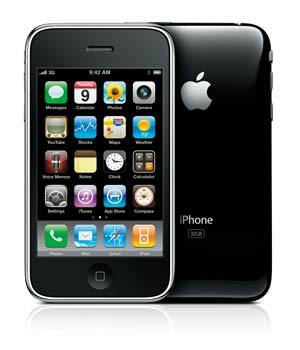 Beginning June 8, iPhone 3G will be available for just $99 (US) for the 8GB model. New MobileMe features for iPhone require iPhone OS 3.0. MobileMe is available for an annual subscription price of $99 (US). *MMS messaging is available only on iPhone 3G or iPhone 3G S; fees may apply. MMS may not be available in all areas. MMS support from AT&T will be available in late summer. **Qualified customers only. Requires a new two year AT&T rate plan, sold separately. ***Where available from AT&T later this year. ****Compass reliability may be affected by usage conditions such as nearby magnetic fields. Sign: umsun Hello!!! rcuwwymhyw and 7079ssgfhphzye and 3733I like your blog. cool post! Sign: gnvkb Hello!!! kawtz and 1144chkasnpywu and 2217 My Comments: Thanks. We look forward to hearing from you again and for your opinions on the world of work.